If you were injured in a work-related accident, obtain experienced legal help. Any injuries you have endured may have affected your ability to earn a living. This could be financially crippling for you and your family. A highly skilled workers’ compensation attorney can help secure your legal rights with strong advocacy and legal counsel. At the law firm of Walton Telken, we prepare every workplace injury claim with a focus on maximizing results. If another party beyond your employer was at fault, we will not hesitate to pursue maximum recovery through a personal injury claim. We have the resources to consult industry-leading experts to investigate the cause of catastrophic and fatal work-related accidents to determine if another party beyond your employer was at-fault. We will work vigorously to help you secure your right to the full amount of benefits you are entitled to receive. We will apply our years of experience, skills and legal resources in pursuit of helping you and your family obtain benefits for your physical, financial and emotional losses. Contact our law firm today to schedule a free initial consultation at one of our office locations in Illinois or Missouri. Workers’ compensation — If you have been injured on the job, you are entitled to workers’ compensation benefits from your employer. Our firm’s Illinois and Missouri workers’ compensation attorneys will handle all aspects of your claim, while working to maximize your recovery amount. Federal Employers Liability Act (FELA) — If you were injured on the railroad you may be entitled to benefits through the Federal Employers Liability Act (FELA) of 1908. Jones Act — If were injured while working on the river or on a loading dock, we can help you file a claim through the Jones Act. Social Security Disability Insurance claims (SSDI) — If you are no longer able to work because of a work or non-work related accident or medical condition, you may have a right to pursue compensation through SSDI. We are ready to help you file your claim or fight for benefits if your initial claim has been denied. 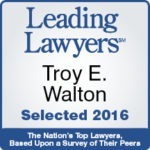 Contact our law firm today to schedule a free initial consultation and discover the difference an attorney at the Walton Telken law firm can make in the final outcome of your case. Our team of lawyers is committed to helping you obtain a full financial recovery so you can focus on your recovery efforts.